Some of the medical services provided by Empath Health’s integrated network of care are reimbursed by Medicare, Medicaid and private insurance. However, our goal is for people with advanced and chronic illnesses or experiencing grief to have the best quality of life possible. For that reason, Empath Health offers many programs and services NOT reimbursed by insurance companies. 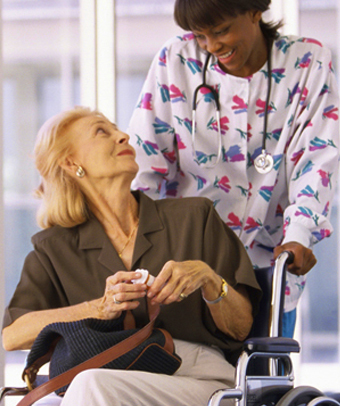 And with hospice, we care for anyone – regardless of their ability to pay. Your donations – no matter the amount – help us provide extra care and support, not always offered by other end-of-life programs. They also help us provide support programs for families and loved ones. You have helped a teenage couple have the wedding of their dreams before the bride passed away. You have helped a 35-year old patient realize her dream of spending time with the dolphins at the Clearwater Marine Aquarium. And these are just a couple of the many things we are able to accomplish with your help. Your donations of money, time and talents help ensure the future of life-changing care to those in our community. Check out all the ways you can help support Empath Health. of chronic or advanced illness.